How many of you have a personal website for your business? Considering quite a few of you are probably raising your hands right now, we thought it was essential for us to revamp the all-important Portable Contact Form (or PCF). After all, it’s the primary tool we offer to help you reel in more leads outside of your GigMasters profile. So whether you’re currently using the old PCF, or had no idea what it was prior to reading this post, be sure to scroll on. We’re explaining the ins and outs of the feature – and trust us, you’re going to want to take advantage of this one. What is the Portable Contact Form? How does it work? Why did you change the original Portable Contact Form? That’s an easy one! We want to provide you with the best and most up-to-date tools available to help you secure more bookings. 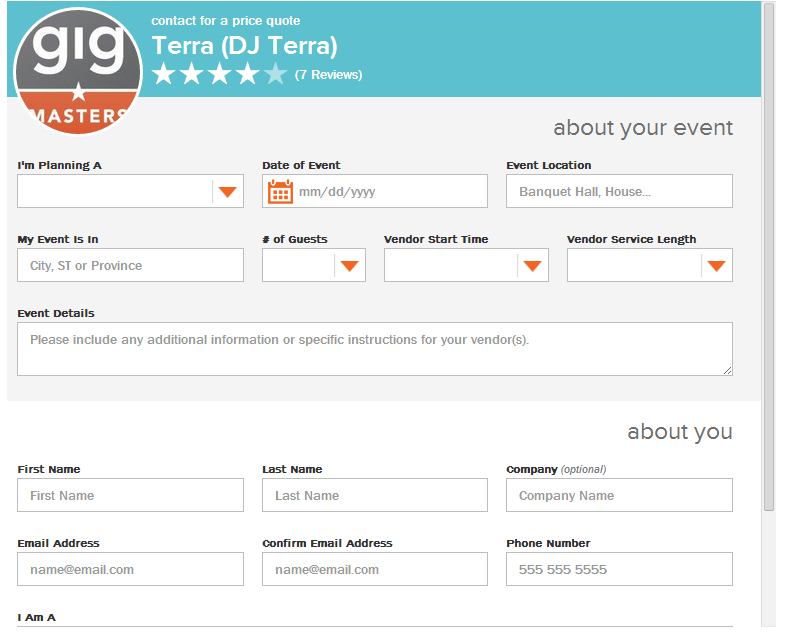 The Portable Contact Form was due for a facelift, so that’s just what we did. In designing this new version, we had two primary goals in mind: simple and sleek. A simple interface that makes requesting a quote as easy as possible for the client, and a sleek look that doesn’t overwhelm the rest of your site. Why should I post the Portable Contact Form on my website? Two words: MORE leads! Who doesn’t want more leads? 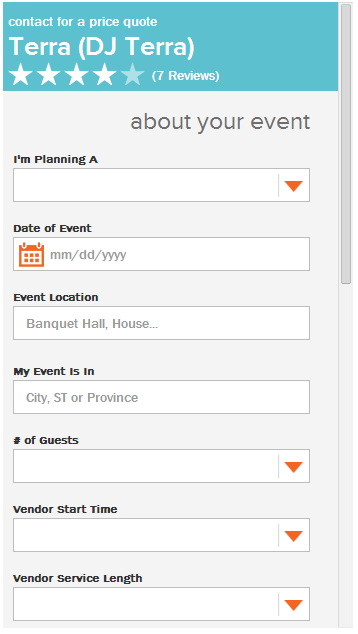 Sure, you can bank on having clients just email you the details of their event. But who’s to say they’re going to provide you with all the information needed to accurately offer them a price quote? And don’t overlook the time-consuming task of having to constantly check back in multiple places for incoming lead information. With the PCF, all of your leads (both from your personal website and your profile) will be funneled into a single source— your GigMasters inbox! How do I post one to my own website? …You should now see the form appear on your site! What’s the best way for me to display one on my website? The Portable Contact Form can easily be formatted to fit any design, so it really just depends on the layout of your personal website. You’ll see a slider under the “Options” section of the PCF page in your Member Control Panel. Slide the toggle left or right to determine how you’d like the PCF to display on your website. There you have it folks – the nuts and bolts of the Portable Contact Form. It’s a feature that’s optimized to secure you more solid leads. But it only works if you use it! So go on and post one to your own site today. The code is now accessible through your Member Control Panel.